Three in a row for Gladbach? Mönchengladbach - This time around, there has been no major shake-up; Borussia Mönchengladbach go into the 2013/14 Bundesliga season with just three new signings to be integrated into the squad and aiming for a third successive top half of the table finish. In stark contrast to last year, when he had to search around for replacements for three star departures who effectively constituted the backbone of the side, sporting director Max Eberl has enjoyed a comparatively relaxed summer. Indeed, he even managed to sort out some of the essentials in advance. The only squad regular to take his leave this time was forward Mike Hanke, who switched to SC Freiburg after Gladbach opted not to renew his a new contract. Coming in the other direction meanwhile is Max Kruse, whose first season in the Bundesliga with Freiburg proved a stunning success following his move from FC St. Pauli in 2012. Indeed, Kruse's eleven goals and eight assists for Christian Streich's young guns were enough to earn him a call-up for Germany on their end-of-season jaunt to the USA, where he made his senior debut up front against Ecuador before scoring in the follow-up 4-3 loss to the hosts. "He's a good footballer, he'll bring more variety to our game. He's hungry and always wants to win," Foals head coach Lucien Favre said of his new frontman. The other arrivals are Germany U-20 defensive midfielder Christoph Kramer, brought in on loan from Bayer Leverkusen, who had farmed him out to VfL Bochum for the previous two seasons, and Raffael, signed from Dynamo Kyiv but himself latterly on loan at FC Schalke 04. Not that the 28-year-old Brazilian attacking midfielder is in any way a new face as far as Favre is concerned, the two having already worked together twice before, at FC Zürich and Hertha Berlin. "He does a lot of things right. He plays simply - but that's far from simple to do," the Swiss tactician said of his once-and-future protégé. For his part, Kramer, who has impressed in pre-season preparations, will be battling it out with Thorben Marx, Granit Xhaka and Harvard Nordtveit for one of the two available holding roles in midfield. Further back, Favre needs to shore up a defence that leaked 49 goals last season, while at the sharp end of the action he has yet to discover his optimal frontline combination. Patrick Herrmann able to hold down a regular berth. 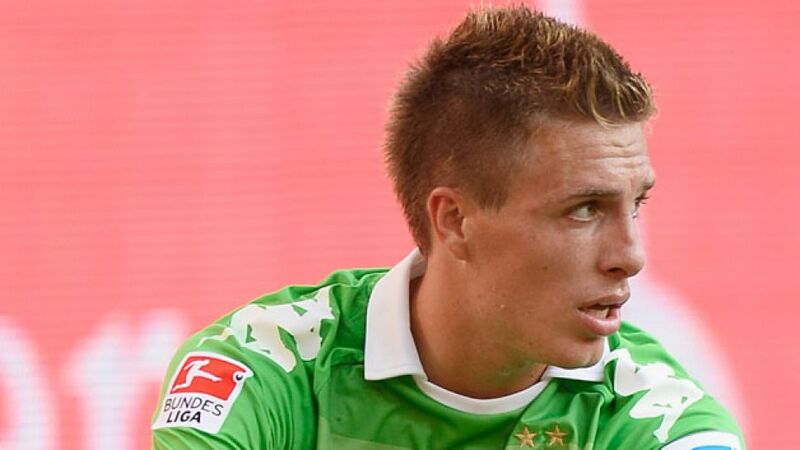 Kruse thus arrives at the Borussia Park with the burden of hope, if not expectation, on his shoulders. Hope, rather than expectation, could also be the mantra for the Foals', and indeed the season's opening game, away to all-conquering champions FC Bayern Munich. Gladbach can however take heart from the fact that they are unbeaten on their two most recent visits to the Allianz Arena. Last year they came away with a draw, while the season before - also on Matchday 1 - they even managed a maximum haul courtesy of Igor de Camargo. Either of those outcomes would likely suit them fine on this occasion - it would certainly be a good start to Borussia's quest for a third successive single-figure table finish for the first time since the late 1980s.